stainless steel case with brushed finished top & polished finished sides. 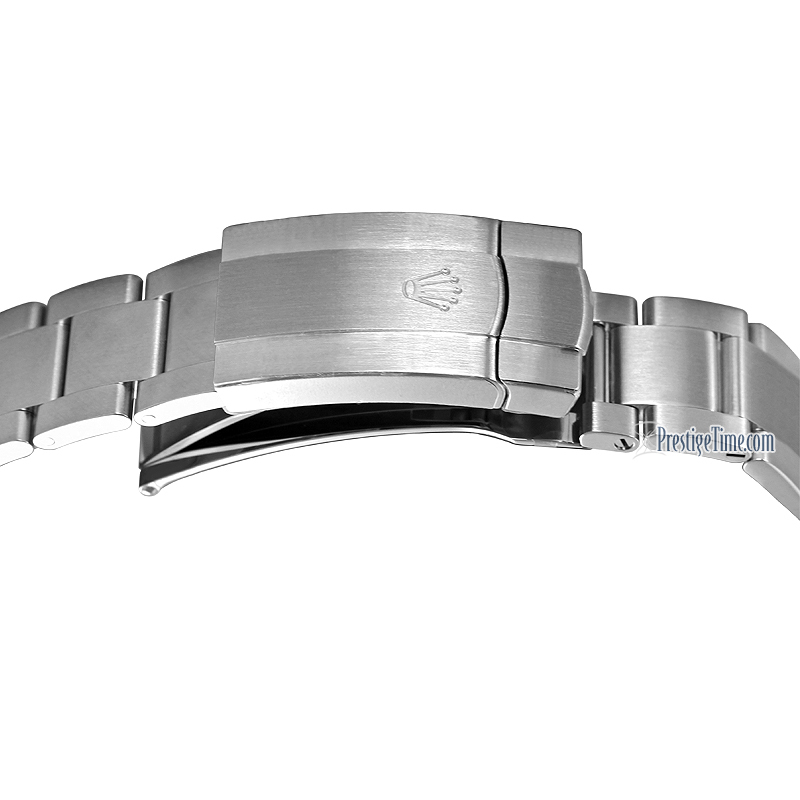 Polished stainless steel "Twinlock" crown featuring two sealed zones when the crown is screwed down: the first inside the tube of the crown, the second inside the winding crown itself. 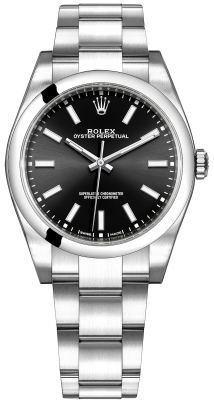 Polished stainless steel smooth bezel. 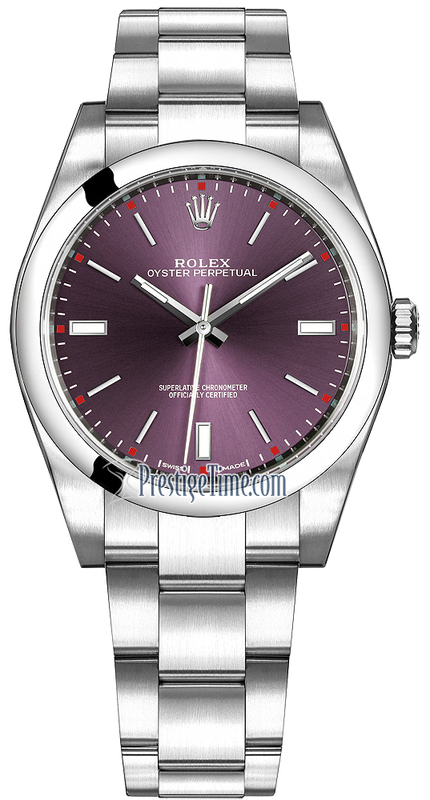 Metallic "Red Grape" (purple colored) dial. Applied polished index hour markers, with luminescent filled 3,6 & 9 hour markers. Polished finished hands: Hours & minute hands with luminescent filled tips. Fine white printed minutes/seconds track with red hight-lights at hour (5 minutes/seconds) increments.